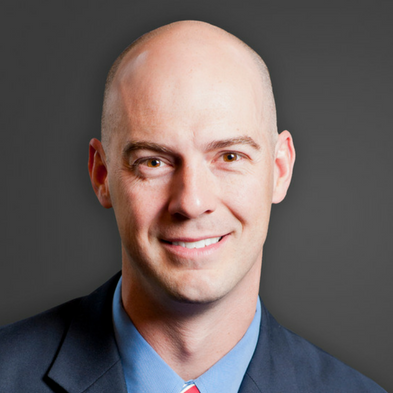 Corey Wulf is an Orthopedic Sports Medicine Surgeon who treats athletes of all levels from youth to professional. He and his wife Carin live in the metro with their four children. They can be found nearly every weekend in their vehicles, gyms, or on sidelines transporting to and from or watching some athletic event. I grew up in a small town: Lennox, South Dakota. The first organized sport I played, which was the first organized sport offered starting at age 5, was wrestling. Everyone wrestled as soon as they were old enough. It was a club sport, so there were probably 30 kids per age group. I competed in wrestling meets, which got pretty intense as you got older. I even went to the State Wrestling Tournament and got second a couple years. I enjoyed wrestling, but it wasn’t my favorite sport. As soon as I was old enough to play basketball, I did. That wasn’t until fourth grade. That was the age when most organized sports in my hometown got started. Basketball, baseball, football … I liked team sports better. Our high school was primarily known for the basketball program and saw a lot of success while I was growing up. Our basketball coach, who was also the Ag teacher, was intense. Bobby Knight was his idol, and he coached just like him. He would yell at ya, scream, spit. I tried not to let it bother me emotionally, although that wasn’t easy since I naturally am a people pleaser. The thing I grew to appreciate about him and his coaching was that I always knew where I stood. There was no vagueness of ambiguity in what I needed to do fundamentally or technically to be a better player. I learned a lot from that experience, taking the negative and positive critique or feedback, to use it for improvement. I will be the first to tell you, he was hands down, probably the best coach I ever had from that standpoint. I would play basketball in the winter, run track in the spring, play baseball in the summer and football in the fall. Football was probably the least successful sport at Lennox High School but truly loved the game. It gave me the opportunity to continue competing in college. I was recruited to play at the local colleges and universities. There was never a decision as to whether or not I would go to college, as it was one of the few things that my parents made me do. I was always interested in science and biology, even from an early age. So, when I was deciding on what college I should go to, it was important to me make sure it was strong academically and had a great science department since I had decided to pursue medicine as a profession. I ultimately chose a South Dakota State, place where I could play sports and where the quality of education would allow me to move on to medical school. South Dakota State was a great fit. We had a big recruiting class. They brought in six linebackers for the year. Four were on scholarships and two of us were walk-ons. I decided I would work hard and see how it played out. I red-shirted me my freshman year, played special teams my first year, and was fortunate enough to be a starter for my last three years. Not bad for a basketball player playing football, right Coach Stig! Along the way, I gathered all the obligatory injuries that are required of anyone who aspires to be an orthopedic surgeon someday. I had a humerus fracture my last year of wrestling at Nationals. I tore my ACL my junior year of high school on a kick-off—I played tailback and linebacker in high school, as well as punter and punt returner. I believe I mentioned that we weren’t very good earlier. As I ran with the ball, I got tackled, rolled over on the pile, and then someone flopped onto the pile. I felt my left knee twist and then pop. 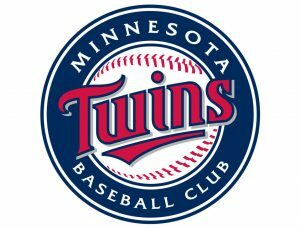 I sat out for a series or two but played the rest of the season. I didn’t know I tore my ACL., and despite it giving way from time to time, I managed pretty well. It wasn’t until during the basketball season when I landed from a jump awkwardly, that my knee really shifted. I got an MRI and found out I had torn my ACL. That was three months after I returned the kick-off in football. I missed the entire basketball season and it really affected. While I was in college, I had a shoulder injury, another knee injury, nothing surgical this time around. But, enough injuries to know and understand the process from a patient athlete standpoint. Up until the point of injury, a lot of athletes, including me, define themselves by their athletic identity. Sports isn’t just what you do, but who you are, an athlete. After I got hurt, that was taken away from me along with the thing I enjoyed the most. I was depressed. However, I learned that I was more than just an athlete and that I needed to have more of an identity than just the guy who plays football, basketball, baseball. Now, with my patients, I usually spend more time talking to them about the mental aspect of their injury than the actual physical aspect. They are all good athletes. They are all working hard at their rehab just like they did at their sport. That’s usually not my concern. The bigger hurdle for my athletes is the loss of identity and the overall sense of failure with their injury. After all, none of us like to lose and this is definitely a loss. I felt good about the end of my athletic career when it came with my graduation from college. I had seen success on and off the field. Playing undersized for my position had taken a toll on my body and I was ready for the next challenge of my life. My love for academics grew even more, as my studies began to focus from general classes toward science and medicine. I was ready for the next step in my academic life. I got my Bachelor of Science from South Dakota State and moved onto the University of South Dakota School of Medicine where I earned my Medical Degree. Orthopedic Surgery was always a natural fit for me and I was blessed to be accepted for my residency at the Mayo Clinic. Residency was a grind, but fortunately, I had been through high school basketball and college football fall camps and knew how to survive. Without those experiences in organized sports, I am sure I would not have dealt with my residency as effectively. It was easier getting through it after being exposed to sports and acquiring the work ethic, coping skills during adversity, teamwork, and all the other countless skills that acquire through sports. Not to mention that a lot of the same personalities and communication skills I encountered in my coaches were very similar to those I encountered as a resident. Who knew Bobby Knight was also an inspiration for famous orthopedic surgeons? 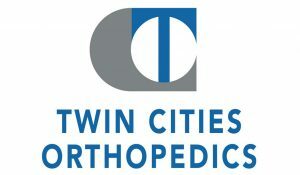 I spent five years in Rochester and then moved to Edina to do a Sports Fellowship at Twin Cities Orthopedic. I still wanted sports to be a part of my professional life and I wanted to pay back those countless hours that physicians had provided me so that I could return to playing. I wanted to be the best Sports Medicine Doctor I could be and that meant one more year of training. I received fantastic training during the year from giants like Pat Smith, Chris Larson, Chris Coetzee, Rob LaPrade, Mike Stuart, and many more. Standing on their shoulders, I now get to treat and teach in our wonderful community. One thing I learned was how to be successful, not only when you are winning, but when you are losing as well. It is very life applicable. From a physician standpoint, there are certainly days when there is a lot of adversity. At the end of the day, it’s a science. Biology is not predictable. Physiology isn’t predictable. Everything in the biological world lives on a bell-shaped curve. I have learned to deal with those adversities. Plays in football don’t always develop the way they were designed to. Wins and losses are unpredictable. Injuries happen. Even when I am doing all the things right, and doing everything I can, sometimes there are still disappointments. You cannot let it define you or your day. Control what I can learn from my critics and try to be better with each opportunity afforded me. A strong work ethic will take me far and I am not afraid to do hard things even if somebody thinks I can’t. I just have to apply myself and work—cut out the voices and go to work. I learned to work as a team, especially from a surgical standpoint. I am not the only person in the room that’s critical to a patient having success. To be able to integrate and work with other people is critically important from a patient outcome standpoint. That’s what you learn from team sports and working with other individuals. If you do your job and they do their job, the likelihood of things turning out well is high. I think the toughest thing is the single-sport specialization. For me, I feel that there were so many benefits playing multiple sports growing up. Different skill sets, success at one sport, less at another. The change from sport to sport and having to adapt to it. I feel my kids are a little bit cheated out of those opportunities in youth sports today. They play one sport really well. Two sports become a logistical challenge, but it’s doable. If you start looking at anything more than two sports past the age of 10, it’s darn near impossible. I feel I can’t provide them the opportunities as I had. That’s the biggest challenge for me as a parent and former athlete: Helping my kids navigate their athletic interests. It feels like there is a lot more pressure today for kids to be successful in sports at an early age. And, because there is pressure to be so good so early, a lot of the kids feel like failures if they are not. That is one of the things we often times struggle within our house. I fall back onto some of the things I used when I was in college. They didn’t think I was the best player, but they gave me an opportunity, and I tried to make the most of that opportunity. I tell my kids to do that, too. I tell them if you get a chance to play, do your best, play your hardest, try not to listen to the voices and just focus on what you have control over.